The D.R.O.P.S. team landed for the first time in Malawi, East Africa on Sunday, 27th August 2017 to join hands with Sparkle Foundation(https://sparklemalawi.org/) founded in 2010 by Sarah Brook. Sparkle is located in the small village of Sogoja, Zomba, with a population of 7000 people. The school provides two meals a day, and education 5 days a week to over 250 children from ages between 3 – 16 years old. 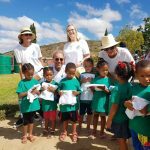 The school is divided into three classrooms and an outdoor play area, and the children are divided into manageable age groups; receiving the 3-5 year old in the morning and the 6-17 years in the afternoon. The D.R.O.P.S. team included a diverse team originally from the UK, Saudi Arabia, Germany, and South Africa, and an amazing children’s dentist from Egypt, living, and practicing in Dubai. 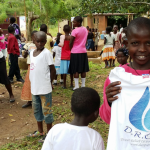 The whole team contributed to the D.R.O.P.S. cause in their own way. Upon first arriving at the school, the team was greeted by an array of friendly, and welcoming faces. The D.R.O.P.S. program started with a ‘teach the teacher’ session on the importance of nutrition, being active, hygiene, and dental care, all cornerstones of the Sparkle and D.R.O.P.S. philosophy. The individual segments were well received by the teachers, each ending with an engaging question and answering session. Sessions being translated by the schools very animated local nurse ensuring participation and endless laughs. The most memorable part of the teacher session, was their keen interest to learn. Seeing them hanging on each word of new information, writing down and making notes to ensure they remember. At the end, all teachers were given a D.R.O.P.S. T-shirt, and a new toothbrush and toothpaste, donated by Philips, and Oral B. The look of gratitude on their faces was absolutely priceless. Next was the set up of the dental medical station in the classroom to provide basic dental check ups and fillings. 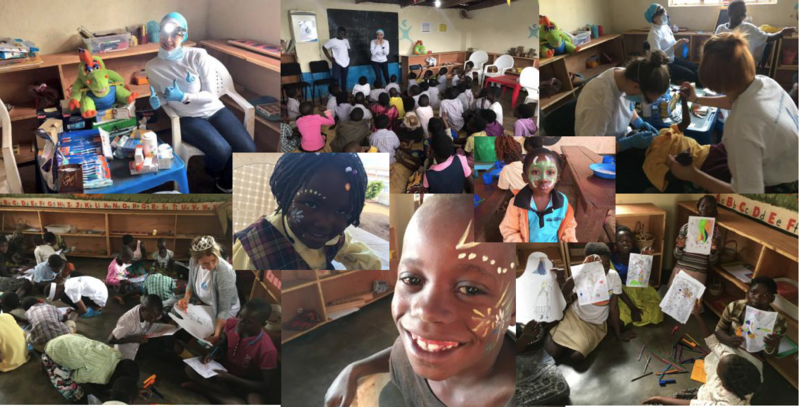 After lunch, the volunteers divided into two groups, one for medical support, and one for education, games, drawing, and face painting. The teachers supported the coordination of the children, and the most awe-inspiring was how well behaved and appreciative the children were. 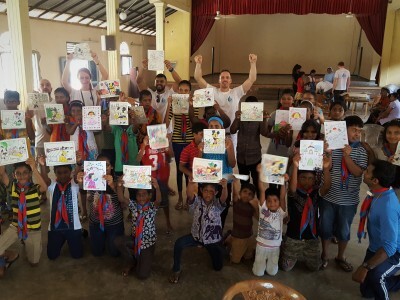 The non-medial team commenced with teaching nutrition, being active, hygiene, and basic dental care, followed by coloring, balloons, stickers, and face painting. The day concluded successfully with the dentist seeing over 70 children, giving around 200 fillings. All the children first time to see a dentist and receiving their first toothbrush and toothpaste. 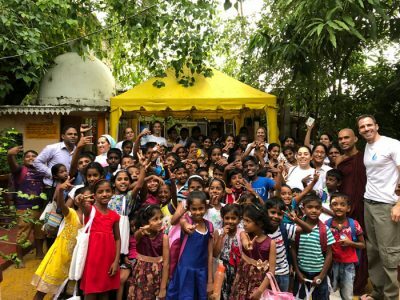 Day two started at 9am with the little ones; age 3-5 years old, which included a half-day of fun, games and the handout of donated children’s clothes. We arrived at the school the last day, welcomed by 30 minutes of song and dance by the children and teachers. Happy and smiling faces blessing the morning, with all the children proudly wearing their new clothes. 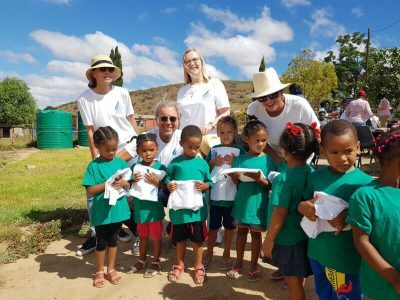 The day included a full array of activities, such as basic dental treatment to the remainder of the children at the dentist medical station, arts and grafts, toy distribution and outdoor games. After a super busy day, the day concluded with the dentist and volunteer team checking an additional 100 children and giving over 300 more fillings. After which the children and teachers rejoiced again in song and dance to close of the day and say farewell to the D.R.O.P.S. team. 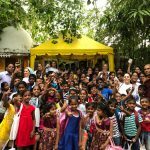 during those three days enriched over 170 underprivileged children’s lives. 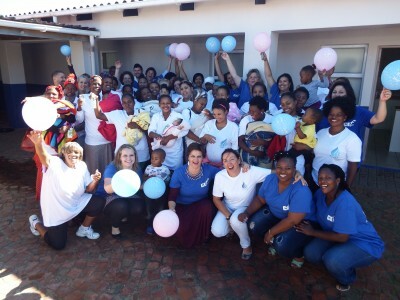 Each volunteer becoming a drop in the ocean of giving. A big thank you from the D.R.O.P.S. foundation to all the volunteers andsupporters that donated their time, money, clothes, and toys to make this trip such a success.